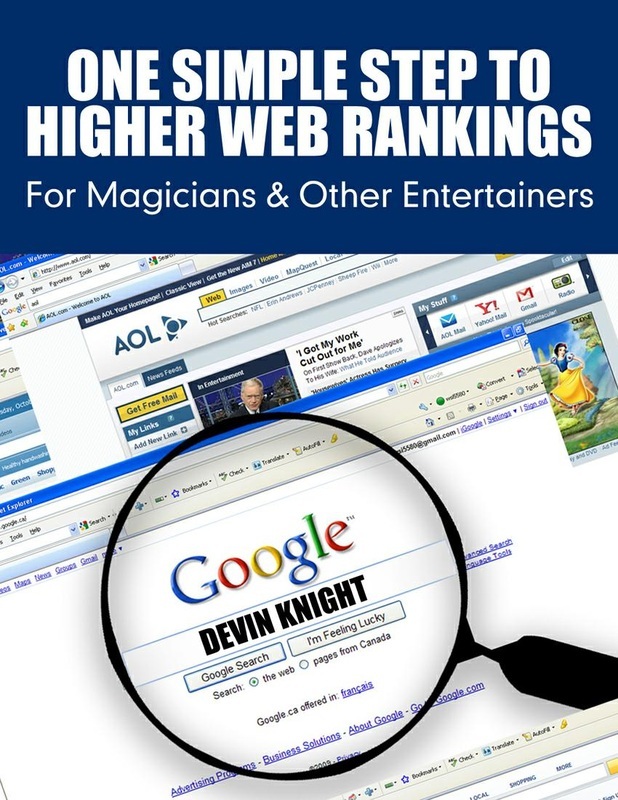 This is e-book #9 in Devin Knight's "Magic Marketing For Magicians Series." An exciting new e-book that reveals how to book and play campgrounds. This is a little-known and lucrative market that few magicians know exists. The author has been performing at campgrounds for more than 30 years. In this eBook, Devin reveals insider secrets known only to a few magicians. There are more than 13,000 campgrounds in North America and Devin teaches you a secret system that will allow you to book your show into them. Using this system you can go into a campground, anywhere in the world, with no prior contact, book a show and do it that night at the recreation hall. You can easily walk away with several hundred dollars that night. You can work campgrounds year round by working the southern area in the winter and the northern states in the spring and summer. In the summer, you can easily do shows seven days a week. This system will show you how to book a solid tour of campgrounds that will last a month or more, if you want, in just a few days. If you need quick money, you can book a campground in your area, and play it the same day! This book shows you how easy this is to do. It makes no difference whether they have a budget for your act. You can get booked the same day and walk away with a few hundred dollars that night. This system works anywhere in the world that has campgrounds. This is information you will not find elsewhere. Learn how to tap into this lucrative market today. Get this eBook and start playing campgrounds this weekend! Just one booking will pay for this eBook many times over.